Shark Helmet S600 was our test rider’s Muhammad Rashidi first ever helmet from the brand after the transition from the Sol Helmet which was being officially used in the earlier stage of Malaysian Riders existence. The helmet then serves on a multiple films in Malaysian Riders and being used as a daily commuting helmet due to it’s class and built nature. The transition between the brand comes at a stage where the increase of Malaysian Riders activity in motorcycle testing to a bigger and more powerful bikes. As being shown on the image above, the S600 was being used as the main helmet during the test and the filming of the KTM 1299 Superduke R in late 2013. Therefore, we have gathered a substantial amount of data and feedback from our test rider for the Shark S600. The Shark S600 which was given to Malaysian Riders under the design of Track with a tire tread being used as the motive for the graphic on the helmet was designed by a firm called as SAK Design. A well known design firm that has been actively involved in motorcycling industry with a numbers of successful or internationally acclaimed designs even on motorcycle structure itself. The S600 Track then has a unique presentation to itself if to be compared with the other S600 helmets. The S600 that was used by our test rider had a hard emblem of Shark on centre-front-top of the helmet which is unique to the S600 Track alone. This sets itself from the rest and surely the owner can be proud to be wearing it around. The black and red color compliments well to each other and it’s subtle motive gives a great look from afar. The S600 that were used by our test rider comes in a matte-stickers like finish and felt great when rubbing your hands around it. The built quality of this thermoplastic helmet is well made and certainly holds a certain level of standard to itself. The S600 then competes directly with the K3 model from AGV in terms of quality and this is looking from it’s pricing point and the feature that it possess. The material used for the S600 helmet combines a high grade and a medium to lower grade of material to keep the balance of the structure integrity holds in tact while enabling it to be manufactured as an entry level helmet to the brand. Therefore, an owner to the S600 Shark Helmet should confidently wear the helmet on the road as it has a premium helmet quality DNA to it. The mechanism they use for the helmet’s visor moving parts are along the line with the international standard of helmets. There’s not much to be said about it except for it’s standard rigidity may be questioned after a few times of crashes. Talking about the safety point of the S600 helmet may be derived from 2 different aspects of the user expectation. Remember, the S600 was made for an entry level market with most of it usage are focused to be on the road rather than on the track. The first point of view about the S600 is that it has an optimized safety capability to the user with a high quality padding in the helmet to act as the last absorber to an impact. The helmet has a standard layer of shell built for the protection of it’s wearer and this reassure the level of safety that it offers for road usage. 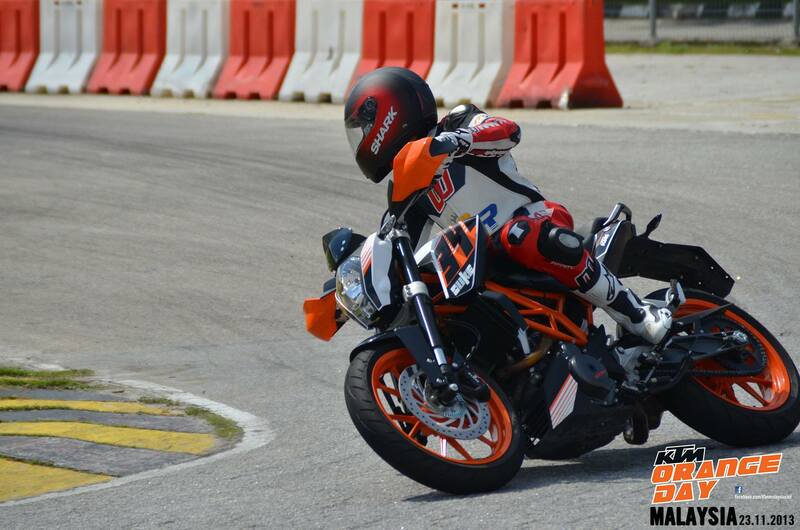 Our test rider never had any incident while using the S600 helmet and felt that it is safe enough to be used even when going on the track for a mild-testing of motorcycles that was offered during his test session with Malaysian Riders. The helmet has a thick Visor that was said to be the thickest of any visors in the market for now (Shark Helmet’s Visor). Therefore, it is said to be able to withstand from shattering on impact in the worst case scenario and that alone gives the S600 a whole lot of safety protection for it’s wearer. On track however, it is not recommended that the user take on the helmet as if it was designed to be a racing helmet. It can or may be used on the track, but the level of aerodynamic to the helmet’s design and the shell of the helmet might not be able to withstand such speed of more than 200km/h or an abrupt acceleration that goes on while you’re riding on track. This was expressed to us from our test rider while he was testing the helmet on track; he felt that the helmet moves around a little bit more than usual(on the road riding) and felt that the strapping system might fail if there is to be a crash. Therefore, he did not recommend anybody to use the helmet on track especially for a bigger class of motorcycle that has the power and range to go 200km/h or more. The disappointing factor of the helmet was the strap mechanism that it used; a clip on mechanism instead of the racing endorsed double d mechanism. The S600 then was never made with racing or track in mind but the user might not be able to own multiple helmet at one time, therefore; for those who are looking to wear it on the track. It is highly recommended not to go full on during your session on the track. Priced at around RM500 to RM600 (or less) retail, the helmet sure is a valuable model to be owned especially for those who are looking to have an everyday helmet to be worn for commuting purpose and a quick weekend getaway from the busy life in the norm. The S600 still offers a good amount of protection while it’s also comfortable to be used after an extensive usage of it. Our test rider, uses the S600 for his daily riding or casual riding to almost everywhere and even uses it for light track riding or weekend riding with a small capacity motorcycle. The S600 then fits well to our test rider; Muhammad Rashidi’s head with what was said by him to be a little bit oblong in shape. Similar to that Alien head figure that is normally being visualized. To him, a human’s head may vary from a total round shape head to a much longer or oblong shape head and that will determines a particular individual’s taste and comfort towards choosing a helmet. With that, we can say that the S600 helmet is a valuable and affordable helmet to those who are looking to venture into the world of SHARK helmets. Opinion made here and all the inputs comes from a personal reflection given to Malaysian Riders from it’s official test rider Muhammad Rashidi following from his 2 years of work with Infinity’s racing suit.